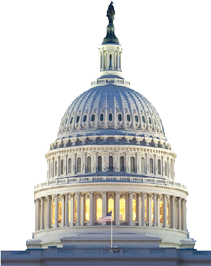 Founded in 1981, The Capitol Connection is the leading provider of public affairs and news cable TV to businesses and associations throughout the Washington, DC metro area. In addition, The Capitol Connection offers a full array of webcasting services for businesses and organizations that desire to produce their own live or archived webcast events. The Capitol Connection is a telecommunication service of The George Mason University Instructional Foundation, a nonprofit corporation organized to support the educational and community outreach missions of George Mason University. All product or company names that may be mentioned in this website are trade names, service marks trademarks or registered trademarks of their respective owners. These include but are not limited to: Adobe, Android, Apple, Chrome, Facebook, Firefox, Flash, Google, Google Play, Internet Explorer, iPad, iPhone, iTunes, Mac, PowerPoint, Silverlight, Twitter, Windows Media.